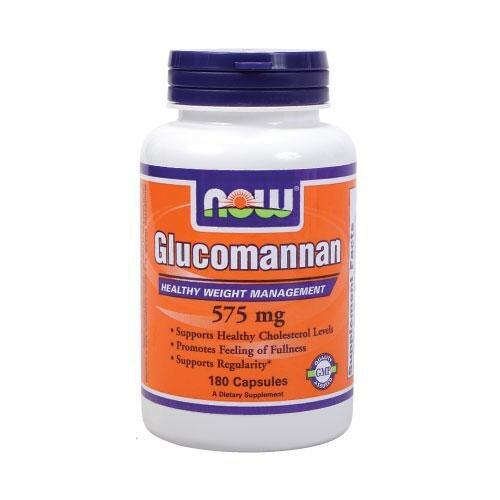 NOW Glucomannan is another popular weight loss product offered by Now Foods. When ingested, it works as a water soluble compound that actually absorbs twice its weight. This leads your body to think that it is full, and thereby, causing you to eat less. Directions As a dietary supplement, take 3 capsules with at least 8 oz. of water 30 - 45 minutes before meals. Warning Take this product as recommended. Without drinking enough liquid the product may swell in the throat, causing blockage or choking. Avoid use if you ever had esophageal narrowing or swallowing difficulties.